“If you ask people to listen to important science information, many of them won’t. It’s like telling them to eat their broccoli. But everyone enjoys a good story, and what is scientific investigation if not an adventure story? 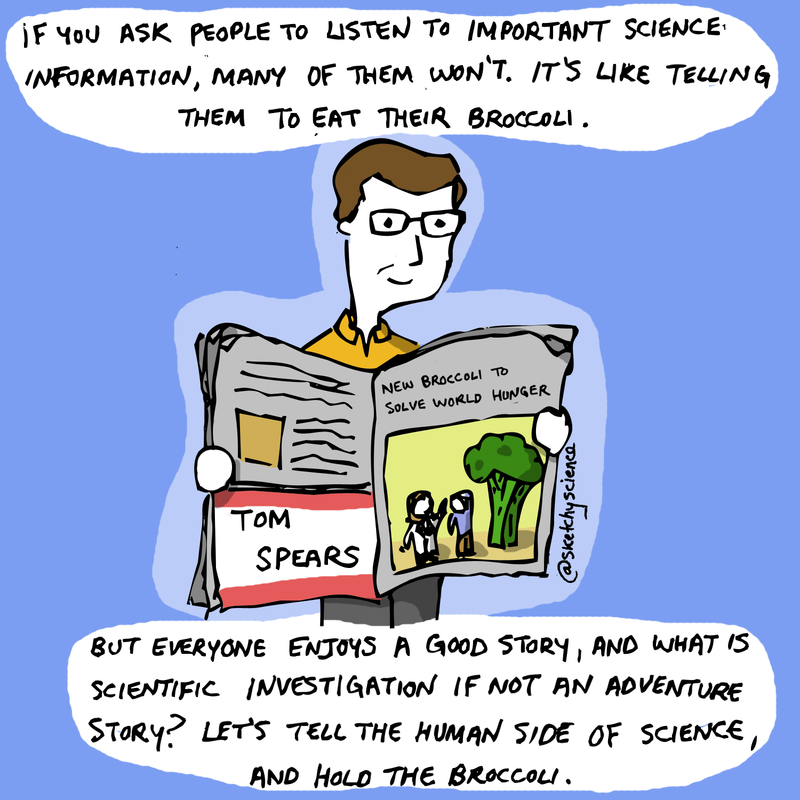 Let’s tell the human side of science, and hold the broccoli.” – Tom Spears, science journalist. Originally posted on September 17, 2016.